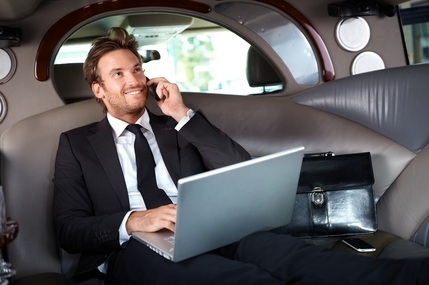 New Haven Limo understands that an important meeting across town can make or break that big account sometimes. Our corporate limo and car service drivers are the best in the north east. Our Mantra is Power Suit, Power Tie, Power Limousine Service! 1. Always Early. We know one of the biggest deal breakers in business is to be late for anything. Our limo drivers know this first and foremost. Whatever time your meeting or presentation is, we want you there early with no concerns. 2. Don’t Fight Traffic. Our professionally trained corporate chauffeurs know New Haven, Hartford, Stamford and New York City. It’s their job and why we pay them what we do. During heavy traffic time we get you to your business meeting on time so you don’t have to rush. 3. Forget Finding Parking. Trying to find parking in any city is like going on an Easter egg hunt. We all know drivers in the North East and New England are known for their, how shall we say aggressive driving? Let New Haven Limousine Service drop you off in front of your destination without any worries. 4. Show Up Prepared. Instead of driving like a mad man (no pun intended), sit back in one of our sleek black corporate cars or limos and prep yourself mentally for closing that big account. Show up confident, professional and looking good. 5. Send Your Clients a Limo. Next time you have some prospective clients out for a lunch meeting; send them a luxury limo or our corporate executive car service. First impressions are everything, sometimes you only get one. Make it count! When traveling to a conference, business meeting or anything that calls for professional service, call on our corporate car service or executive stretch limousine service so it’s a guaranteed home run.